Theobroma cacao, from the ancient Greek Theo meaning god, and broma meaning food, is literally translated to “food of the gods”. For those who love cacao’s rich, decadent taste – especially in chocolate, “food of the gods” is an accurate description. 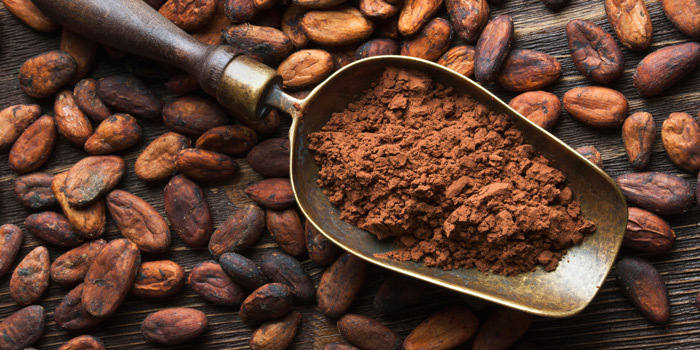 Naturopath Cate Lilja extolls the many virtues of the beloved cacao. Cate is the new General Manager - Operations at PSF and she is a naturopath too! Thank you to Eliza @fitfabfoods for being our guest blogger this week. Eliza is part of our Next Generation of Health series where we celebrate the young people of today with the good health message. A great role model! Eliza is a 22 year old physiotherapist and blogger with a passion for health, food and photography. Eliza shares her recipe for this amazing Choc & Salted Caramel Smoothie & Muesli bowl Mmmmm.... Click to read more. Read more to find out the best way to remedy this all too common side effect of the silly season.